This is the view due west and in the foreground is the university administration building, the Old Schools, including the building with the white façade at the front and the court complex behind, with the Gonville and Caius College library at the right. Behind the Old Schools is Clare College Old Court and in particular Clare College Chapel. Continuing on, in the background is the University Library. 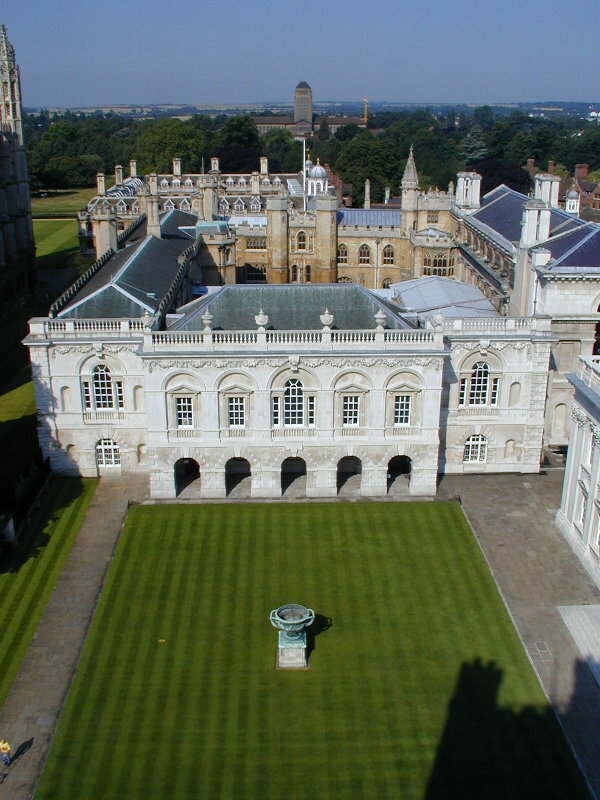 Just visible at the left of the photo is King's College Chapel, and at the bottom right, the university Senate House.